New season of HaKokhav HaBa L'Eurovizion - Israeli Eurovision preselection show, starts next Saturday, 24 November at 20:15 CET. Management of the singer Kalomira denies information of OGAE Greece about negotiations with Greek broadcaster ERT about possible participation of the singer in the Eurovision 2019. The statement, published by ESCXtra, reads: "No such thing is true. Kalomira was interested in 2018 because it would have been ten years since she last went to Eurovision but couldn’t because of family commitments." In Summer, in interview to People Magazine, singer said: "This year was the 10-year anniversary of my participation so I was in early discussions about representing Greece, but the plans didn't proceed. Everything seemed positive, but my instinct told me not to do it. What I have made clear is that my priority is my children and my husband. Whatever I do, in singing but also in television, should not affect and disturb the children's routine". The work on the Eurovision project has started in Greece, and as OGAE Greece reports, yesterday, on 16 November, at the Radio Parlor of Agia Paraskevi was held a meeting between senior ERT executives and the singer Kalomira Sarantis. It is reported that the climate is extremely positive. The name of Kalomira was already considered by ERT last year on the occasion of the 10th anniversary of her first participation in the competition, but didn't go beyond the phase of the initial discussions. In the interview to Gia tin parea program, singer, residing in America has informed that she will visit Greece again in January. At the same time sources of another Greek website Eurovision Fun deny that any discussions between ERT and Kalomira took place. Fan club INFE Azerbaijan reports that Azerbaijan's public broadcaster Ictimai Televiziya will choose its representative at this year's Eurovision Song Contest via an internal casting process. The first casting has been scheduled for 20th of November. Carlos Jean has presented results of his project #LaCancionPerfecta - ideal Eurovision song, which was submitted as the entry for the Spanish preselection. Recall that well-known composer has invited all interested songwriters to develop the music base, created by Jean himself, adding own melody or other features. Several dozens of proposals were received. Out of all options, Jean has created the entry which incorporated the best of the proposed ideas. Final outcome - #EuroTemazo with the title Tocaremos el Cielo - can be heard in the video below starting from 4:46. For the performance of the song Jean has proposed candidacy of Famous. 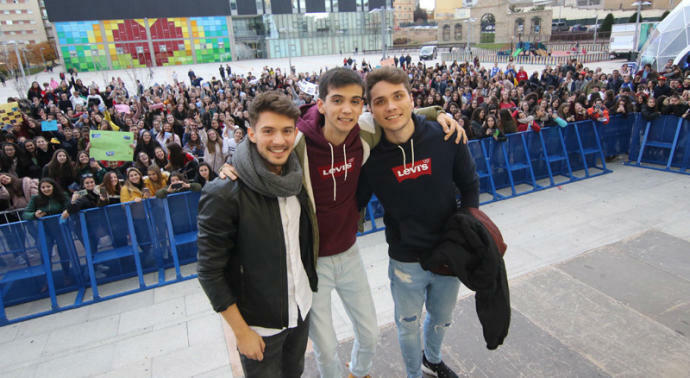 Three relegated contestants of Operación Triunfo, Carlos Right, Dave and Damion travelled to Salamanca for the signature session and spoke to the local press. Answering the question, who of OT 2018 contestants should go to the Eurovision, all three have agreed - it should be Famous. Carlos Right: Famous. He has a lot of presence on stage. Dave: Famous, because besides that he is very excited to do it, he has an idea how to do it and can implement it. It is a guarantee of quality. Song "Fuorigioco" of band Cobalto has been disqualified from Sanremo Giovani preselection for being performed live earlier. The performance had happened in July at Roxy Bar Tv, online web channel of music manager Red Ronnie. In the last months he toured Italy to meet young artists and listen to their musical material in order to invite best of the to take part in Fiat Music 2018 festival. All the performances were broadcast live by Roxy Bar Tv, including that of Cobalto, who on the occasion presented themselves with the singer and the guitarist of the band. In front of Red Ronnie and the spectators of the web tv, they performed two songs of their repertoire, including their "Fuorigioco". The performance was later uploaded to YouTube on Red Ronnie channel, but after getting 21 views was subsequently deleted. In this regard, the Festival Rules are clear: "The song is considered new, that in the whole of its composition or in musical part only or in lyrics only (except for the eventual duly authorized editorial initiatives), not has already been presented publicly to the audience or performed or interpreted in whole or in part live in the presence of an audience". The disqualification was confirmed with the official statement: "The Organization of the Festival - Direction of Rai1 - after a careful evaluation proceeded to the exclusion of the Cobalto group from the final selection of Sanremo Giovani as the song "Fuorigioco" was published on 12 September on the Youtube portal and therefore does not meet the requirement of the new songs as per regulations"
"We didn't see it, we didn't know, we didn't absolutely remember that video and never indeed we posted it on our social channels. But someone who doesn't love us and who had already reported it to the Rai press office didn't quit the shot, so he reloaded the video on Youtube by creating a fake account called Sanremo Fan Club. We tried to explain to the direction of the festival all the reasons of this world, but it didn't serve anything", stated the band. "At the same time, however, we know that there were famous episodes similar to this (the Meta-Moro case of last year) where Rai evidently believed it was right to pass on it. The same assessment was not made for a video with 21 views of a song performed with guitar and voice, which we did not upload ourselves, of which we did not know the existence, and when the song was still a draft, different from the one we can listen today. The Video, now that we're excluded from the competition, was obviously taken off again". "We write with great regret these lines to blame ourselves, and no one else. We feel guilty. Guilty to ourselves, to our song, to you who listened to it and to those who, like us, believed. We spent all our energies to be here, where we deserved to be, and now we're out. For us it was the opportunity of life. It's faded for nonsense. We can only repeat that everything we did, we did it in good faith. And move on stronger than before"
Presentation of the artists competing in Swedish SVT Melodifestivalen will take place on 27 November. According to Torbjörn Ek of Aftonbladet newspaper, following artists are expected to compete in the preselection: The lovers of Valdaro (from P4 Nästa selection), Oscar Enestad, Arvingarna, Wiktoria Johansson, Nano Omar, Jan Malmsjö, Anton Hagman, Vlad Reiser, Bishara Morad, Ann-Louise Hanson, Jon Henrik Fjällgren, Lina Hedlund. Also close to reaching the deal are: John Lundvik, Magnus Carlsson, Margaret. 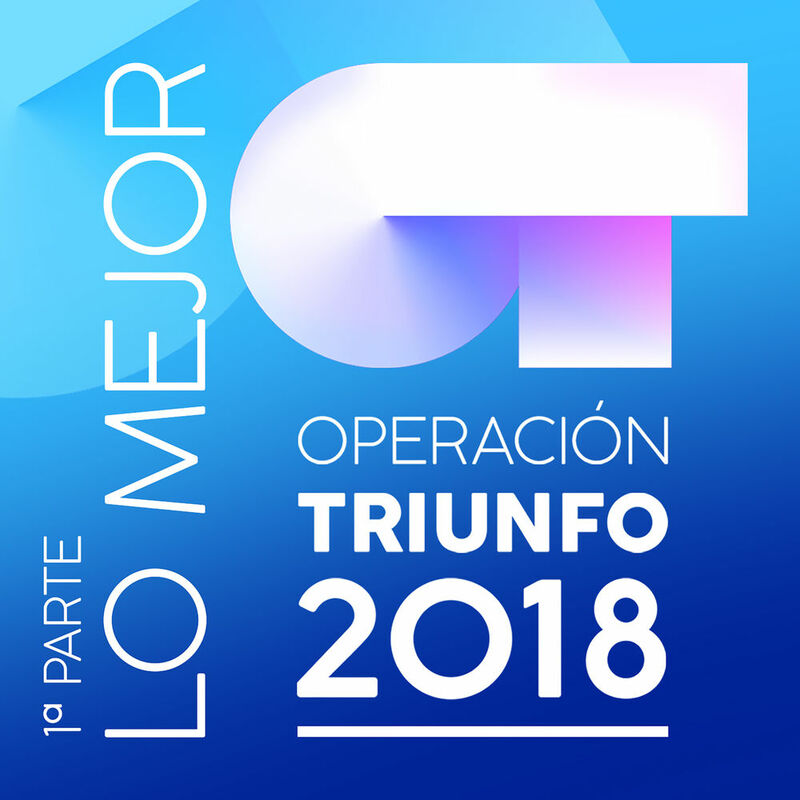 Over 1000 #Eurotemazo entries have been received for the Spanish Eurovision Gala of Operación Triunfo 2018. Both well-known and new songwriters have answered the call. 953 entries have been received through the public form on the RTVE.es website which allowed any interested songwriter to take part in the preselection. On the other hand, RTVE and Gestmusic (producer of OT) have invited directly songwriters of recognized prestige to present their proposals, and they have contributed more than a hundred songs to the process. Although it is not binding, all the songwriters could have proposed preferred OT contestants to perform their songs from the list of 16 competitors of this season. Now begins the analysis of the received songs and the selection of shortlist of 20 (10 chosen from the open submissions and 10 more from invitations to recognized songwriters). These 20 songs will be published on RTVE.es giving the users the option to choose their favourites. Three most voted songs will get a guaranteed place in the special Eurovision Gala and a maximum of seven more will be added by the jury. Eurovision Gala will take place in January. SRF has revealed via its Twitter account that the Eurovision panel and international expert jury have already shortlisted best 5 songs out of 420 entries received. These songs are now being tested by music producers with various artists. Then a next jury evaluation will follow. The entry for Switzerland will be announced in March. Gestmusic could offer Javier Pageo the scenography of Spain in Tel Aviv, reports Eurovision-Spain. The scenography is the Achilles heel of TVE in Eurovision. Every year the Spanish public is frustrated to see the homeland lost in the table largely due to a scenic approach lower than the European average. Fans demand greater consideration in this regard after the participation of Amaia and Alfred in Lisbon and it seems that Gestmusic, responsible for the Operación Triunfo and probably Spanish entry in Tel Aviv 2019, has already taken a step forward to look for new ideas that can turn the marker around. Tinet Rubira, director of the production company, has revealed in the last hours after the requests of Internet users on Twitter that the set designer Javier Pageo could be behind the Eurovision project: "Of course". Pageo, responsible for the scenographies of the Eurovision Spain Pre-Party 2018, is known for his reflections on staging that take place in different programs and special galas at a national and international level, as well as for his projects for the candidatures of Eurovision in recent years. His proposals for Barei, in 2016, and Amaia and Alfred, in 2018, ran like wildfire for the network for its originality and for providing that "surprise effect" and differentiating that could be missing in TVE's ones. The Murcian artistic director even presented his proposal for Tu canción on the OTVisión online program of RTVE.es after viralizing into networks. In anticipation of the Eurovision 2019 Tel Aviv Convention Center is ongoing through rebranding under the name of Expo Tel Aviv, to which is added the slogan "Create An Experience". Rebranding process is part of the company's strategy for 2025, which aims to turn Expo Tel Aviv into an international hub of conferences and events from around the world, combining a fascinating professional experience with a desirable tourist destination. The complex has indoor exhibition areas of 25,000 square meters divided into 8 pavilions of various sizes, alongside an additional 20,000 square meters of open exhibition space adjacent to pavilions on lawns. The replacement of the name has an additional effect, as it will probably change the names of the nearby railway station as well as the names of the nearest bus stops. In an agreement signed with the European Broadcasting Union and the Israeli Broadcasting Corporation KAN, it was already determined that in all official publications the venue will be named as Expo Tel Aviv International Convention Center. Eurovision will be working with six pavilions: Pavilion 2, where the main show will take place, will be rented from the mid-March for a period of 2.5 months, while Pavilion 1 and the rest of the pavilions will be at the Eurovision disposal for a period of 1 month. Work in all the pavilions will be run 24 hours a day, 7 days a week, including Saturdays. In addition, as part of the production requirements, a permanent temperature of 21 degrees will be maintained in all the pavilions. Also, Expo Tel Aviv has recently announced a plan to renovate and upgrade the complex and its pavilions at a cost of tens of millions of shekels. As part of the renovations, in 2015 was launched new Pavilion 2 with an investment of NIS 350 million, a new business lounge and three new conference halls are still to be built. In addition, pavilions and entrance areas will be renovated. The company has also announced that it will build a restaurant complex of 2,500-2,800 square meters at a height of 2 floors, which will serve the guests and residents of the area. 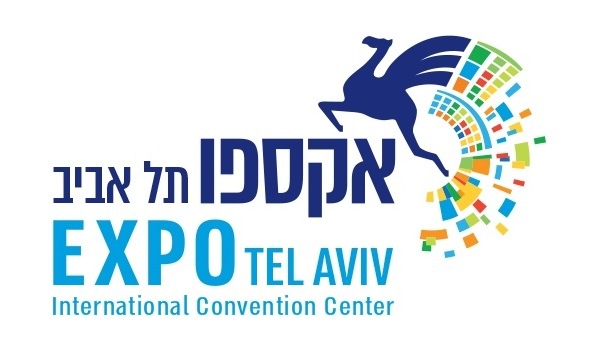 Tamir Dayan, CEO of Expo Tel-Aviv says: "The name change is the first step towards becoming a leading entity in the field of hosting and producing international conferences, and the conference and tourism industries are bringing tens of billions of dollars worldwide. Our main goal in the coming decade is to increase our share of Tel Aviv-Jaffa and The State of Israel in them as much as possible, a business process with tremendous potential for raising Israel's prestige and standing in the world"
By the end of October, RTP received more than 200 entries at the public submission for Festival da Canção 2019. The revelation of the chosen candidate, as well as the winner of the Masterclass radio program who will be the 16th competing composer, will happen soon. As stated in the regulation, the selection of the songs was done by a jury specially created by RTP that integrated "personalities of recognized merit in the field of music, music and television production. The chosen competitor will be invited to present the song to the competition under the conditions described above for the remaining songs". Host broadcaster KAN has launched the tender for the position of the official ticket selling agent of the contest. The last date on which tender documents can be submitted will be on Sunday, 22 November. Tender documents, Contractual agreement. - Packages – a number of tickets (digital tickets) for various events that will be sold together in one package (possibly for fan clubs members) at a reduced price. As usual, tickets will be offered for nine live shows: Three live broadcasts, Three Jury Shows and Three Family shows. For each event, tickets will be allocated at several price levels, depending on the location and level of the purchased seat. Tickets will be sold both to the main hall and Green Room location. The sale of tickets to the various events will take place in a number of stages: First stage in the beginning of December 2018, second stage in February 2019 and the third stage will be at the end of April 2019. The selling website must be secured in accordance with the accepted standards and rules of the Eurovision Song Contest, to be able to set up traffic stability of approximately 200,000 users at a given point in time, with about 200 simultaneous buyers (including use of the random queue management technology). An automated system to control and manage ticket allocation accordingly to the buyer's location in the world should be in place. In respect of any malfunction and / or attack that has disabled the site's activity or seriously disrupted it the service provider shall bear an agreed compensation of 50,000 NIS (appr. 12,000 EUR). In accordance with the requirements of the EBU, at least 1/3 of the tickets allocated for sale in the free market should be made available exclusively for sale to purchasers from abroad. If this quota will be left unsold a week before each event, those tickets will be offered to purchasers from Israel. Bidders should be corporations duly registered in Israel or an authorized dealer; having experience in selling tickets to at least 10 mass events with 2,000 or more visitors during previous two years. The bidder must operate English language website with possibility of the online sales active for at least two years. During the previous two years the sales of the bidder should be at least 25 mln NIS. During Ringvaade program of ETV was released the list of semifinalists of Estonian preselection Eesti Laul. Artists will be presented on the special press-conference on 19 November at 13:00 at the ETV Museum. Presentation of the songs themselves will take place on 1 December. Sandra Nurmsalu (ESC 2009), as well as Tanja (ESC 2014) and Birgit (ESC 2013) as part of The Swingers make their comeback. Victor Crone took part in Melodifestivalen 2015. Sissi is the daughter of the Eurovision winner Dave Benton (2001). Sofia Rubina took part in preselections 2004, 2006, 2011, 2014, Jaan Pehk with Orelipoiss in 2011, 2012, Grete Paia competed in Eesti Laul 2013 and 2016, Kerli Kivilaan as part of Põhja-Tallinn in 2013 and 2016, Kristel Aaslaid (part of Öed) in 2016 with Cartoon, Uku Suviste in 2017, Stefan in 2018 as part of Vaje. 216 songs were received for the participation in the Estonian preselection show Eesti Laul, 108 of them in Estonian and exactly the same number in other languages (English, Russian, German and Spanish). Of the songs corresponding to the rules, the jury has chosen a total of 24 songs for the semifinals. The jury evaluated the entries blindly (i.e. the authors of the songs were not known to them). Preselection jury included: Ivar Must, composer; Lenna Kuurmaa, musician and singer; Kaupo Karelson, TV Producer; Leen Kadakas, Manager of Universal Music Baltics; Vaido Pannel, Radio Sky Plus Music Editor; Allan Roosileht, Star FM Presenter; Mari-Liis Männik, Music Editor at Radio Elmar; Andres Puusepp, Power Hit Radio Presenter; Laura Põldvere, musician and singer; Karl-Erik Taukar, musician and singer; Dagmar Oja, singer; Rolf Roosalu, musician and singer; Renee Meriste, Music Manager; Sten Teppan, Vikerraadio music editor. Songs for the 9th Gala of Spanish Operación Triunfo have been distributed. For the first time all contestants will perform solo songs. In an interview to RTL Late Night, singer and TV host Jan Smit, who is member of AVROTROS preselection committee informed he is not interested in competing in the Eurovision Song Contest himself. "I am a Dutch-singing artist and I think there are many better artists who can sing English very well and who are more suitable for that. You just have to choose your best act and I'm just not used to singing in English". "I think that in the Netherlands, we have so many good DJs, who are already very well known internationally. Whenever they release a record, they immediately get on the playlist of a lot of countries and a lot of TV channels, and the score is already 10-0. We should definitely try them one time"
But which singing artist should we send with that top DJ? "That does not matter that much. The Netherlands has so many good singers, but it is also a matter of registration. We are often confronted with artists who tell us at Boulevard or other media that they would like to go [to the contest], but if people really want to, then it is a question of giving a call [to us themselves]. 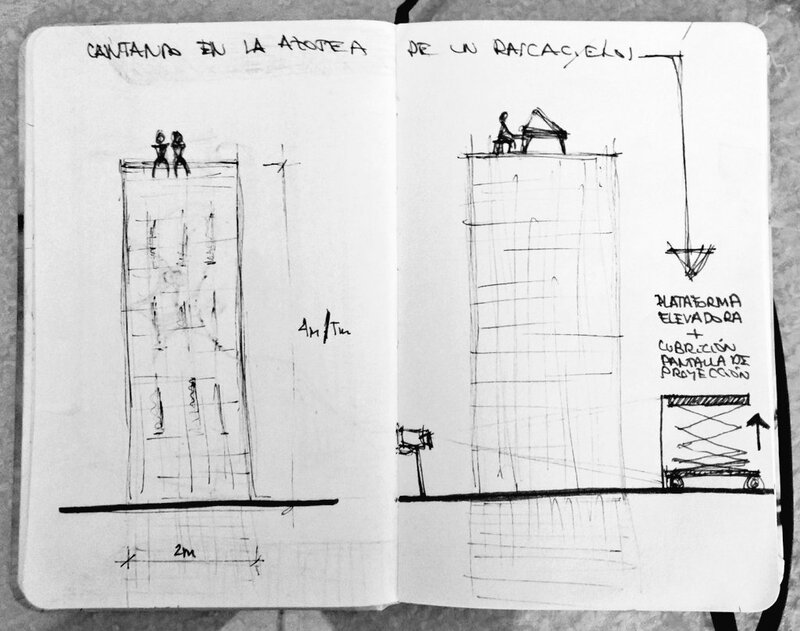 They also should consider that the artist has to be intensively involved for six months". It seems that Dutch broadcaster has yet not made a big progress in its search for a perfect Eurovision 2019 candidate. "I hear a lot of talks because I am on the committee, but there is nothing definite. We have not taken any concrete steps yet. There are so many artists who can do that. I actually think that every Dutch artist should put his finger on it." In the recent days such artists like Kensington and Davina Michelle, whose names were regularly featured in the wishlists, have denied their interest in the Songfestival participation. Additonal information: The Netherlands page. Russian singer Daryana continues to make statements about her preparations for the Sammarinese national preselection for the Eurovision Song Contest 2019. Recall that in May, production center "CHE Production" announced an agreement with ERAS (Ente per la radiodiffusione sammarinese - Foundation of San Marino Broadcasting) on the participation of singer Daryana in the qualifying round of the Eurovision Song Contest 2019 in San Marino. Oleg Chelyshev, Director General of the Production Center CHE Production, has stated: "The selection of participants for this contest from Russia takes place according to the Channel One's own strategy. We don't fit into this strategy, so we made a decision to enter Eurovision in a different way, especially since the Contest Regulations do not oblige the participant to have citizenship of the country he represents. We have been negotiating with San Marino for a while, and this year our partners confirmed their agreement by choosing the candidacy of the singer Daryana". "Before entering the professional music stage, I performed a lot at the music competitions. Giacomo Celentano (son of Adriano Celentano) was on the jury in one of the contests where I took part. He liked my performance, I gave him my records and thought that we would never meet again. It was a complete surprise for me to receive a letter from him with a proposal to perform at the Eurovision from the state of San Marino, "the singer herself said. - "I’m 100% ready to participate in the contest. I'm sure San Marino will definitely qualify for the Eurovision final in 2019, and maybe it will be the next country in which this contest will be held. It's possible that the contest entry will be performed in 3 languages ​​- Italian, English and Russian." A current topic was chosen for the song: total immersion into the virtual world, where "likes" have replaced the emotions, live communication disappeared and the main communication of people was done through the Wi-Fi network. The contest entry was written about this, the lyrics to which were written by the famous lyricist and professional translator Mikhail Zagot, and the singer Daryana and the manager of the project Oleg Chelyshev took part in creating the music. Studio work was headed by a famous Russian musician, arranger and sound producer Maxim Kuznetsov. Now, the manager of the artist said that the priority for Daryana is still participation with this song from Russia, and if Russian organizers of the national preselection will notice it, then Daryana is ready to perform this song at the Eurovision representing her own country, and then to San Marino for the national preselection will go another artist of CHE Production. In the development is the script and preparation for the shooting of the music video for the song "Hi, Wi-Fi", while yesterday was presented a finished version of the composition. Recall that the Sammarinese broadcaster did not make any public statements in regards to its selection method for the Eurovision 2019, it is only known that last year's format 1in360 will not return. SBS Australia to proceed with Eurovision participation despite protests and calls to boycott. 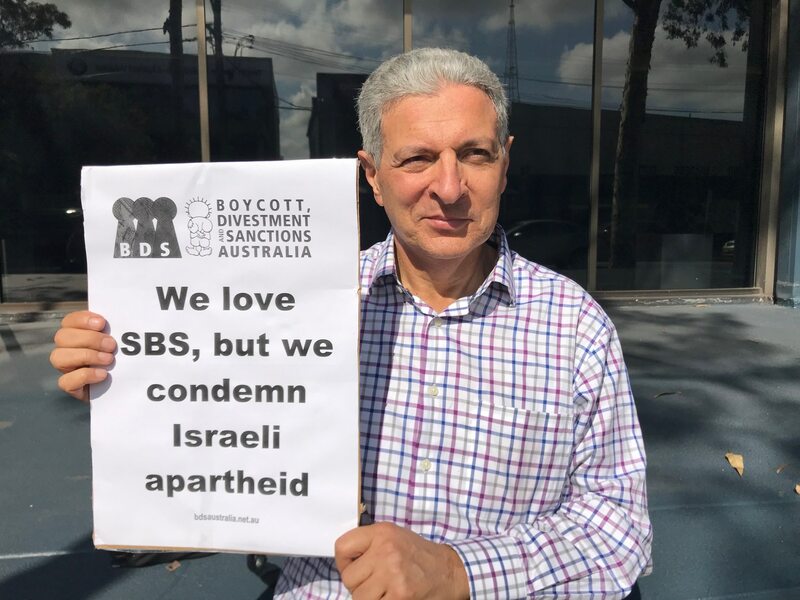 Boycott, Divestment and Sanctions Australia (BDS Australia) have staged a protest outside SBS Australia's office over plans to broadcast next year's Eurovision song contest in Israel. 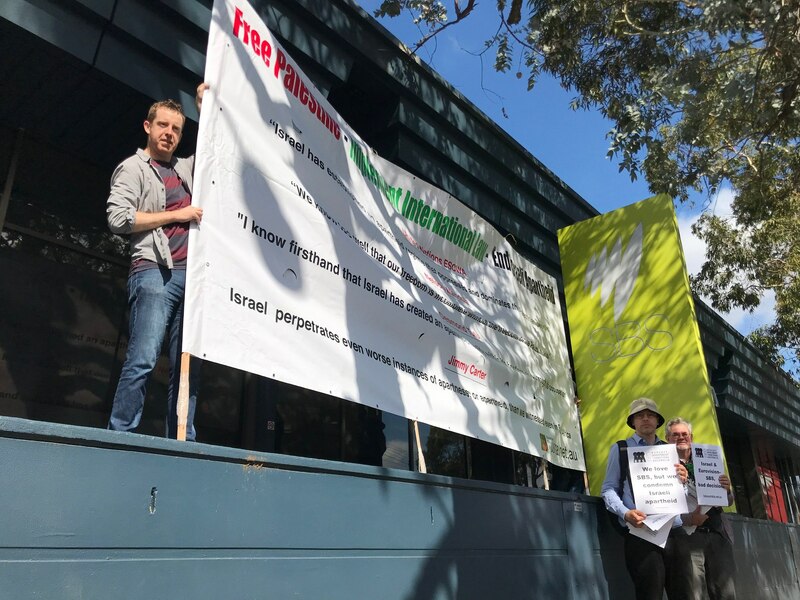 Around ten protesters headed by Hilmi Dabbagh, a convener of BDS Australia, gathered outside the SBS offices in Artarmon on November 15 to urge the national multicultural broadcaster not to screen Eurovision 2019, which will be held in Israel. BDS Australia has a "fundamental problem with Eurovision going ahead in the midst of the catastrophe occurring in Gaza" and called on SBS to "uphold its proud history as a truth teller and a path breaker". "We need the Australian people to know this is not right and SBS has very high ethical value and represents the fair-go of Australians and hence, we expect SBS not to broadcast Eurovision if it happens in Israel," BDS representative said. Protesters handed out leaflets to SBS staff that read: "We love SBS and we love Eurovision, but is a song contest worth more than human rights? Are advertising dollars worth more than international law? We can’t celebrate Eurovision in Israel while the Israeli government enforces apartheid and ongoing human rights abuses against Palestinians. Just like the campaign that ended apartheid in South Africa, your international solidarity is vital. "In every Eurovision participant country, campaigners are working in solidarity with the struggle of Palestinians for their human rights and the upholding of international law. "In Australia that means asking SBS directors to make a positive human rights decision by refraining from organising an Australian contestant and by not broadcasting Eurovision 2019 from Israel if it goes ahead there. "It is an insufficient response to say that 'the whole point of Eurovision is to forget politics,' as [former SBS CEO] Michael Ebeid did to a Senate Estimates question in May this year. Are SBS directors to forget human rights? Is SBS to forget international law?" Following the event, an SBS spokesperson said the broadcaster will continue to host the event which celebrates diversity and inclusion. "SBS respects and supports the right for people to express their views and we acknowledge the concerns raised by those opposed to the contest being held in Israel," the statement read. "SBS has been proudly broadcasting Eurovision for 35 years and we will continue to do so in 2019 because of the spirit of the event in bringing people and cultures together in a celebration of diversity and inclusion through music.". Carlos Right with 47% of votes leaves Academy, Marilia is saved by viewers. Sabela for the first time becomes public favourite, top 3 also includes Julia and Alba Reche. This is a record, 8 Galas had 8 different favourites. Jury saves Julia, Alba, Miki and Natalia. Professors save Famous, contestants saved Maria with 4 votes - meaning that Marta and Marilia who got 1 vote each are nominated for the eviction in the next show. Italian magazine CHI reports on the names of eight performers, who can take part in Sanremo 2019 festival. According to the publication, almost guaranteed participation of Nek, Paola Turci, Arisa, Giusy Ferreri, Ultimo. Among participants will be only one of the boys of Amici di Maria De Filippi: Irama or Riki (Riccardo Marcuzzo). Loredana Bertè is still in talks, but may go to stand by position. In October, various Italian media have discussed possibility of participation of: band Modà, Alessandra Amoroso, Elodie, Michele Bravi, Irene Grandi, Ivana Spagna, Massimo Ranieri (may be with the song written by late Charles Aznavour), Gianluca Grignani, Francesco Renga, Enrico Nigiotti, Luca Carboni, Coez, Emma Marrone, Enrico Papi, Shade – Federica Carta, Gigi D'Alessio (may be with Nino D'Angelo or Anna Tatangelo), trio Nicolò Fabi - Daniele Silvestri - Max Gazzè (but they may also take part as special guests). Also, artistic editor of the festival Claudio Baglioni considered invitation of the artist in "trap" genre, so this can be Ghali, Sfera Ebbasta or Capo Plaza. 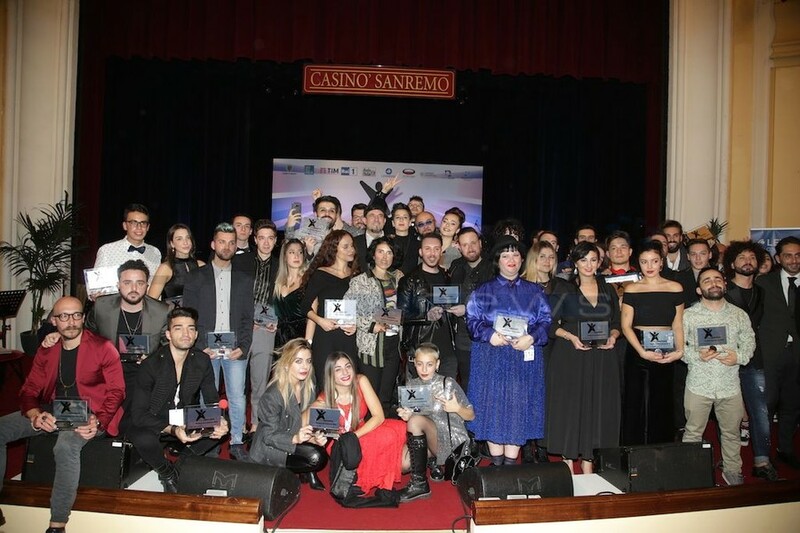 24 performers will compete in the festival, of them 2 will be chosen during Sanremo Giovani, and other name of finalists will also be revealed during its broadcaston 20-21 December. Director of Entertainment of RTVE Toñi Prieto wanted to extend the deadline to receive proposals for the 2019 Eurovision that ends this Thursday, November 15, as well as the process of direct invitation to the songwriters of recognized prestige. However, this plan has finally been stopped, writes Bluper. His objective was to get more time to look for better songs in the process but, above all, that the authors of recognized prestige get more time to present their proposals. The fear of Prieto, according to the publication, was that entries of some of the unknown composers may be chosen over recognized songwriters. Website also claims evidence of favoritism towards certain songwriters, as in recent Galas composers Carlos Jean and Brisa Fenoy acted as fourth jury members. Fenoy, who has already took part in the preselection last year, said she was working on several entries for the selecton process. Carlos Jean has earlier launched project #LaCancionPerfecta, where all interested songwriters were proposed to develop music base, created by Jean, adding own melody or other features. Several dozens of proposals received can be heard on Youtube. Out of all options, Jean will create the entry which will encorporate best of the proposed ideas. Update: Guest judge of the 8th Gala Ruth Lorenzo also informed she had submitted several entries for the Eurovision selection. According to the voting of Eurovision-Spain website, favourite of tonight's Gala is Famous, who has got 39% of votes. Sabela follows with 15.3%, Maria and Marilia 10.2%. Marilia is also favourite to be saved over Carlos Jean, she got 67.8%. Lawyer Yiannis Drosos was appointed CEO of the Greek broadcaster ERT. The channel's board will also include composer Dimitris Papadimitriou, who was the author of intro music at the Eurovision Song Contest 2006 in Greece, as well as music for the opening of the Olympic Games in Athens. The appointment of the new board of directors of the ERT will allow to eventually start preparations for the Eurovision contest. According to Star TV, no preparations for the competition have been held in Greece yet, no responsible persons have been appointed. A number of successful performers tried to contact the broadcaster to hold talks on participation in the competition - but could not get any response. The first part of the compilation album of OT 2018, released by Universal Music Spain, topped the Spanish album chart and in just one week earned the status of a "Golden Disc". Among the singles, the highest places were reached by the duet of Mika and Carlos Right "El ataque de las chicas cocodrilo" (58th place), the group song "This Is Me" (59th place) and "La Llorona" of Alba Reche (61). Top 100 also reached 5 more tracks: "Feel It Still" (Famous, Natalia) (71), "Lo siento" (Natalia, Damion) (74), "Toxic" (Natalia, Alba Reche) (80), "Ella" (María, Marta) (83),"Respect" (Alba Reche, Noelia) (92). Last week, the show participants took part in autograph sessions in Barcelona, ​​Madrid and Zaragoza, which were held with record attendance numbers. For example, in Barcelona (Carlos Right, Marilia, Marta and Miki) about 5,000 people came to sign the disc, up from 2,000 last year. In Madrid (Alba Reche, Famous, María and Noelia) - 4000 against 3000, and in Zaragoza (Julia, Natalia and Sabela) - 3500 against 2000. Already expelled contestants gave autographs in Malaga, Murcia, and will soon go to Alicante, Cadiz, Seville and Valencia. The second part of "The Best" album will go on sale in late December or early January, during the Christmas holidays. By then, the winner of the show should already be determined. First official Eurovision afterparty which was due to be held in Kaunas' "Žalgiris" arena in December was cancelled. In Summer, Lithuanian Eurovision 2018 entrant Ieva Zasimauskaitė has revealed plan to organize first Eurovision concert in Lithuania - "Eurovision Afterparty". 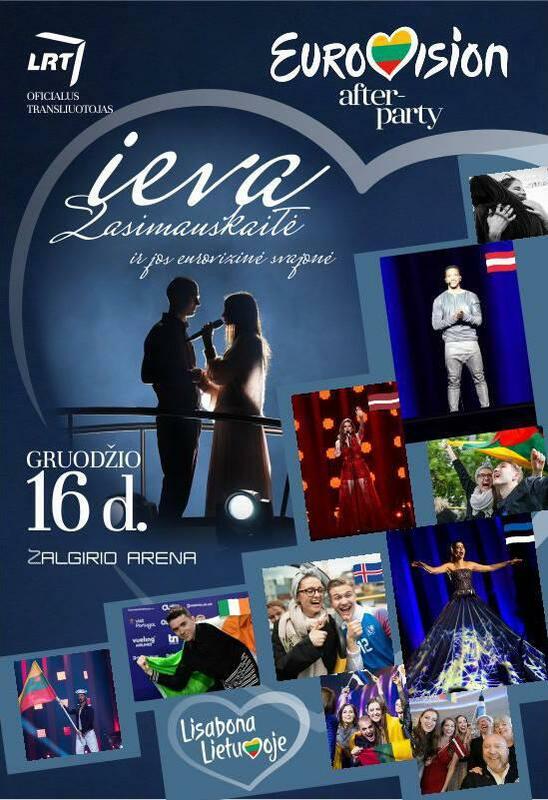 Among the confirmed participants were Cesár Sampson (Austria), Laura Rizzotto (Latvia), Ryan O'Shaughnessy (Ireland), Elina Nechayeva (Estonia). I did not complete the program of the event as I hoped and dreamed, and I wanted to share with you 100% product that will really make feel in the spirit of the Lisbon. I wanted more performers, but the amount was too high. Therefore, I decided that I would not risk because the tickets were not too much bought out as well. I decided not to do more than to do a full leg. I am the maximalist ", - Ieva Zasimauskaitė says to 15min. All purchased tickets will be refunded. "It's sad that this event will not be there anymore, it's sad to me that we will not be able to feel this Eurovision feeling here in Lithuania. Well, but not everything is possible in this life... And sometimes you can not understand why, but later, after a while, you also thank the universe or God for everything to fit and give you all the possible lessons. Apparently, I'm too young to organize events when I have no experience of that, but I am grateful to people who have contributed so beautifully and benevolently to this my dream, which will remain only a dream"
According to the new publication of newspaper Jutarnji list, Dora - Croatian preselection for the Eurovision 2019 will be held on February 16. However, it was still undecided if it is going to be held in Opatija or Zagreb. If it is in Opatija it would be in a new hall, instead of traditional Kvarner hotel, but organizers still hope that Opatija will be able to recreate same magical athmosphere of the competition. This week, a public call for Dora will be announced, and all songwriters who will submit songs under the codes will have the same conditions in front of the 5-7 member jury made of representatives of HRT, Croatian Music Union, the Croatian Society of Composers, music editors etc. As things stand now, it is believed that the voting for Dora will be made according to the principle of Eurovision voting: therefore, the votes of the jury will first be read, and then the audience will give points to their favorites by means of calls, SMSs or mobile app. Among possible entrants, newspaper lists Lidija Bacic as well as Ivano Ljubičić who will perform song by Nenad Ninčević (lyricist of Croatian 2000 entry). Other composers, like Branimir Mihaljević, Miroslav Buljan say they will decide on the participation after reading the terms of the HRT Contest. Newspaper believes several performers from "The Voice" and "A Strana" will compete, among them Alen Đuras, Vjekoslav Ključaric, Eni Jurišić, Iva Gortan. More well-known names are reported to compete in "The Next Star for Eurovision". Israel Hayom adds few more names to the list of competitors of the upcoming season of "The Next Star for Eurovision", who want to follow success of Netta Barzilai. Among them are Klara Sabag, participant of the 9th season of "Kochav Nolad" (A Star Is Born), Ayala Eligoola, participant of the 3rd season of "Kochav Nolad" and "New Wave 2012", Tamar Amar, runner up in the 3rd season of "The Voice". Previously it was reported that the show is attended by Kdam Eurovison veteran Maya Buskila, Rotem Shefy with her alter-ego Arabic diva Shefita, Roey Sandler, Daniel Tavori (Ben-El's brother), Ketreyah participant of "The Four", Eti Bitton, another participant of "Kochav Nolad" and Elkana Marziano, winner of 3rd season of "The Voice". Meanwhile the singer Idan Yaniv, who has also conducted negotiations for the participation, has decided to give up. Due to the shortage of rooms expected during the days of the Eurovision Song Contest, the Tel Aviv Municipality and the Ministry of Tourism are examining the possibility of setting up a tent and caravan complex in Yarkon Park at a reduced price. The idea of the Eurovision camp has been proposed by the city of Kyiv back in 2005, but instead of 5,000 planned guests, only 250 tourists mostly from other regions of Ukraine have preferred this type of accommodation. On Sunday, the Tourism Ministry held a meeting attended by Director-General of the ministry Amir Halevi and the CEO of Tel Aviv Global Eitan Schwartz to examine the plan and the various possibilities. The proposal, which has not been approved yet, includes setting up personal and double tents, family tents, luxury tents and caravans. In addition, the area will include all necessary infrastructure including showers and toilets, a laundry area and a luggage storage area as well as an information desk where guests will also be offered tours throughout the country. The municipality of Tel Aviv has already approached neighboring cities such as Herzliya and Netanya to help with hotel rooms, and has also contacted regional councils close to Tel Aviv to examine the possibility of integrating the guest rooms in the various communities, including kibbutzim and moshavim, reports Ynet. At the same time, ESCKAZ has learnt that European Broadcasting Union, quoting a complex situation with regards to hotels and accommodation in Tel Aviv (as May is high season and hotels have a very high occupancy rate already) has requested participating delegations to complete booking of the hotel rooms by mid-December. This comes far too early for most of the delegations, which are able to finalize the plans on the delegation line-up only after the selection of the representative, as many delegation members usually come from the management of the performer. 336 #Eurotemazo have been received by the Spanish broadcaster RTVE for the Eurovision Gala of OT 2018. Most of the songs are pop ones and ballads, while Latin rhythms, trap or heavy metal are less common genres. Several of the songs are written in other languages of Spain, one even includes phrases in all languages of Spanish state. Several of the entries have been composed by songwriters known in the Eurovision world, and there are a lot of songs from newcomers as well. It was earlier revealed that an entry will be submitted by OT 2017 contestant Cepeda with a wish that his song will be performed by Famous. Cesar Sampson also did not exclude that Symphonix International will also submit an entry for Famous as well. Submission deadline ends on 15 November. 10 best of the entries received in the open submission will be recorded by the OT 2018 contestants. Will Tamta go to the Eurovision - or to her homeland Georgia? Star TV in its program Sti folia ton Kou Kou reports that singer has other obligations that may prevent her participation in the contest. Reporter Yanis Poulopoulos, citing his sources in Tamta's team, says that she is very interested in going to the Eurovision, and would like to work with Alex Papaconstantinou on the entry for Cyprus, but she already has other commitments with The X Factor show in Georgia (where she already previously was in the jury). Recall that Georgia at Eurovision 2019 will be represented by the winner of another TV show - the Star of Georgia (Georgian Idol). According to the Showtime, CyBC is close to reach a final agreement with Alex Papaconstantinou, who has already prepared a contest entry, but there are also negotiations with other foreign songwriters who would also like to see their song at the Eurovision from Cyprus. INFE Greece reports CyBC is in touch with some record labels and they are looking for the right song at first, something seconded by OGAE Greece which says CyBC had already received four songs by well-known composers from Europe and America, and broadcaster's priority is indeed to select the best possible entry first. If his entry is approved, the right of first refusal Papaconstantinou has allegedly suggested to Tamta. 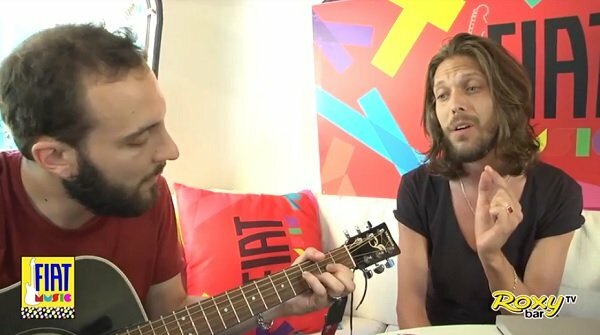 The EurovisionFun website, however, reports that if it would not be possible to reach an agreement with Tamta, the Cypriot broadcaster considers the candidature of singer Vangelis Kakouriotis. At the same time, INFE Greece state CyBC denied having any communication with Kakouriotis. At the same time, in Greece, the Eurovision project development has not started yet, as the appointment of a new CEO and a council of the broadcaster ERT is expected in late December. Tickets for the Australian national preselection show Eurovision: Australia Decides, which will take place in Gold Coast Convention & Exhibition Centre, are on sale now. Shows will be hosted by Joel Creasey and Myf Warhurst. They can be purchased here. 3 events now on sale - Jury Preview Show, Matinee Preview Show and the Live TV Final (70 AUD), as well as a package which will include all 3 concerts (from 110 AUD). National final will start at 19:30 and end approximately at 22:00 local time (10:30-12:00 CET). 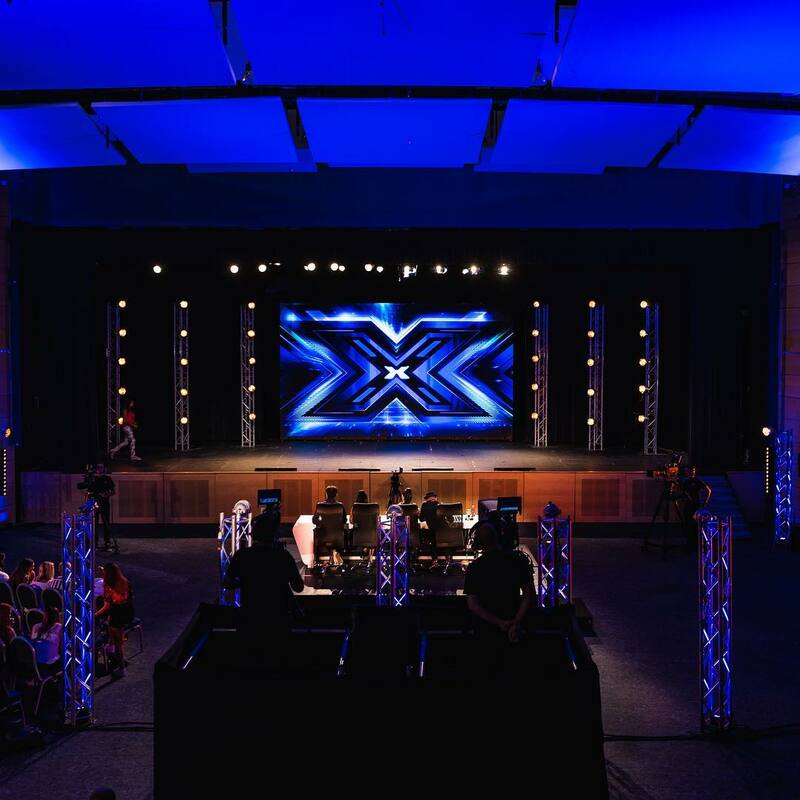 In Malta first broadcast of the X Factor Malta devoted to the Bootcamp stage took place. At first, participants were suggested to sing acapella, and 30 of 120 candidates were not approved by the judges for the further participation. Girls performed "A Million Reasons" (Lady Gaga), Boys - "See You Again" (Wiz Khalifa feat. Charlie Puth), Overs - "Don’t Let the Sun Go Down On Me" (Elton John), Groups - "My Girl" (Temptation). At this stage broadcaster has highlighted performances of Luke Chappell, Owen Leullen, Aleandro Pace Tahir, Norbert Bondin, Aidan Cassar, Mark Anthony Bartolo, Karin Duff, Kelly Moncado, Michela Pace, Nicole Frendo, Petra, Anna Faniello, Vanessa Sultana, Laura Bruno, Ben Purplle. Second step was Wall of Songs - after it only 48 artists will remain in the race - 12 in each of categories. Today first 8 group songs of this stage were broadcast. Already qualified to the next stage: James Mifsud, Kelsey Bellante, Kelly Moncado, Miriana Conte, Kaylie Magri, Danica Muscat, Miguel Bonello, Aleandro Pace Tahir, Matthew Anthony, Kayati, Rachel Tedesco Triccas, while representative of Malta at the Junior Eurovision 2010 Nicole Azzopardi, as well as Lindsay Pace and Josef Tabone were relegated to the Holding Room. Bootcamp report will be continued on the next week. Singer Shiri Maimon, who was considered one of the most prominent candidates for the position of the Eurovision 2019 host, did not attend the auditions because of time constraints, reports Israel Hayom. Newspaper believes it means she is now out of picture. Co-host of "The Next Star" Rotem Sela also did not attend the hosts auditions. As we have reported earlier, on Friday morning candidates for the Eurovision 2019 hosting role have been gathered in Kfar Shmaryahu. Among the candidates have been such prominent figures as actor and TV host Erez Tal, who is considered a fairly sure candidate, model Bar Refaeli, actresses and singers Ania Bukstein and Noa Tishby, TV hosts Assi Azar, Geula Even, Lucy Ayoub, Romy Neumark, Leon Rosenberg, Liron Weizman, Dana Grotsky, mentalist Lior Suchard, actors and hosts Guy Zoe-Aretz, Yaron Brovinsky, Aki Avni, comedian Nicky Goldstein, who was tested for the role of Green Room host. The auditions that were filmed there were sent to the European Broadcasting Union which along with the Israeli production team will determine the hosts of the contest by the end of November. It is expected that there will be four hosts selected - two for the main stage, and two for the Greenroom. 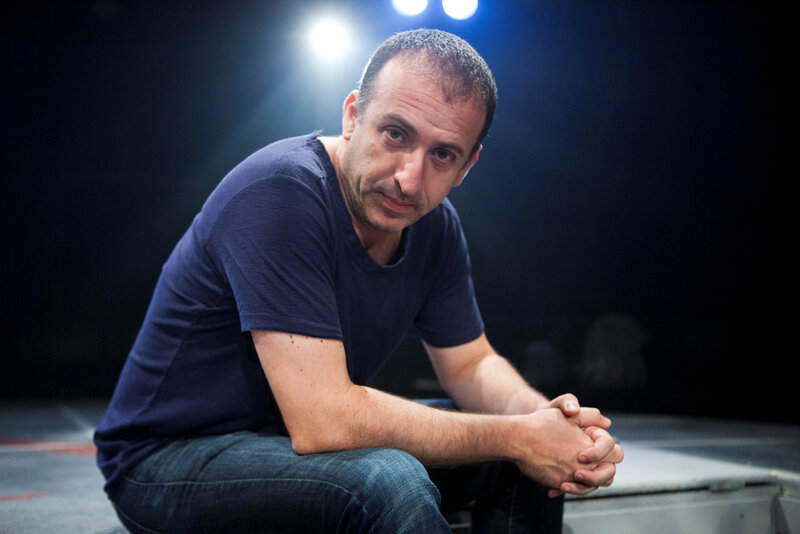 At the same time Moshe Kepten - artistic director of Habima Theater, who earlier was named by local press as one of the candidates, appeared to be appointed director of the Eurovision Song Contest 2019. This was decided earlier this week, as Kepten won a tender of the public broadcasting corporation KAN. Recall that Yuval Cohen, who was Channel 10's director of programming and development, was recently elected editor-in-chief and director of the entire Eurovision Song Contest (including the events accompanying it), and Kepten will act as his assistant. Kepten, who for two years served as the artistic director of Habima Theater, directed, among other things, musicals Fiddler on the Roof and Les Miserables. In the field of television, he directed the live broadcasts of the three seasons of "X Factor", fourth and fifth seasons of "The Voice", pre-Eurovision broadcasts, and television specs such as the Ophir Awards and theater prizes. Names of 25 winners of Area Sanremo academy, who still possess chance to qualify to the participation in Sanremo Giovani festival, have been revealed. Final auditions of the project took place in Teatro dell'Opera of Sanremo Casino attended by 76 artists. Originally, it was planned that 24 winners will be declared, but jury has decided to accept one more performer in the shortlist. At the upcoming auditions on 24 November, RAI Art Directorate will decide which of these 25 performers will be able to join Sanremo Giovani cast. It is planned, that in the end six-ten performers will be chosen. Songs of the artists taking part in Sanremo Giovani auditions have been published. One can listen to them here. Final auditions of 69 candidates will take place on 12 November in Rome. For the participation in the festival will be chosen 18 artists. 6 more will be chosen at the auditions of 225 artists of Area Sanremo academy. 76 have reached final auditions and today will be determined 24 best candidates. They will be auditioned again on 24 November by RAI Commission to select finalists. Sanremo Giovani will take place on 20 and 21 December with participation of 24 artists, winners of both nights will qualify to the line-up of the main Sanremo festival in February. Новый сезон шоу HaKokhav HaBa L'Eurovizion - израильского отбора на конкурс Евровидение 2019 - стартует в следующую субботу, 24 ноября в 22:15 Москвы. Менеджмент певицы Каломиры опровергает заявление ОГАЕ Греции о переговорах с телеканалом ЕРТ по поводу возможного участия певицы в конкурсе Евровидение. В распространенном заявлении, которое приводит ESCXtra, говорится: "Это не соответствует действительности. Каломира была заинтересована в 2018 году, потому что это было бы десятилетней годовщиной ее участия в конкурсе, но не смогла сделать это из-за семейных обязательств"
Летом, в интервью People Magazine, певица рассказывала: "В этом году была 10-летняя годовщина моего участия в конкурсе, и я вела некоторые переговоры о том, чтобы снова представить Грецию, но планы не продвинулись дальше. Они казались позитивными, но мой инстинкт сказал мне, что я не должна делать этого. Я четко дала понять, что моими приоритетами являются мои дети и мой муж. Чтобы я ни делала, в пении и телевидении, не должно мешать обычной жизни моей семьи". В Греции приступили к работе над проектом Евровидения. Как пишет ОГАЕ Греции, вчера, 16 ноября, в офисе Радио ERT в Агии Параскеве прошла встреча руководства телеканала ERT и певицы Каломиры Сарантис. Сообщается, что климат встречи был весьма позитивным. Имя Каломиры уже рассматривалось телеканалом ERT в прошлом году, в год десятилетней годовщины ее участия в конкурсе, но дальше предварительной стадии переговоров дело не зашло. В интервью программе Gia tin parea, проживающая в Америке певица заявила, что вновь вернется в Грецию в январе. В то же время, другой греческий вебсайт Eurovision Fun опровергает, что встреча между ERT и Каломирой имела место быть. Фан-клуб INFE Азербайджан сообщает, что Общественное телевидение Азербайджана (Ictimai) приступило к поиску представителя на конкурс Евровидение 2019. Он будет выбран в рамках внутреннего процесса, состоящего из ряда кастингов. Первые прослушивания назначены на 20 ноября. Карлос Джин представил итоги своего проекта #LaCancionPerfecta - идеальной песни для Евровидения, которая была подана им в качестве заявки на отбор Испании. Напомним, что известный композитор, предложил всем желающим предложено доработать музыкальную основу, созданную самим Джином, дописав ее мелодию или добавив любые элементы. Из всех полученных вариантов, Джин создал готовую песню, в которой были использованы все лучшие из предложенных идей. Итоговый результат - песню с названием Tocaremos el Cielo - можно услышать в видео ниже начиная с 4:46. Для исполнения песни Карлос предложил кандидатуру Фэймоса. Три выбывших конкурсанта Operación Triunfo, Карлос Райт, Дэйв и Дамион побывали в Саламанке и дали интервью местной прессе. На вопрос, кто из участников шоу должен отправиться на Евровидение, все трое согласились, что Испанию должен представить Фэймос. Карлос Райт: Фэймос. Он очень хорошо держится на сцене. Дэйв: Фэймос, потому что прежде всего он очень хочет этого, у него есть идеи, как это сделать правильно и может их реализовать. Это - гарантия качества. Песня Fuorigioco группы Cobalto дисквалифицирована с отбора Sanremo Giovani, поскольку была в июле исполнена вживую на прослушиваниях в Roxy Bar TV, которые также транслировались онлайн. Видео, выложенное позднее на Youtube, собрало 21 просмотр, и впоследствии было удалено. Группа принимала участие в прослушиваниях перед импрессарио Red Ronnie, который проехал через всю Италию в поисках молодых талантов, чтобы пригласить лучших из них на участие в фестивале Fiat Music 2018. Cobalto, представленные солистом и гитаристом группы, исполнили две песни, в том числе и конкурсную. Правила фестиваля говорят: "Песни считаются новыми, если целиком, а также отдельно музыка или текст, не были вживую исполнены перед публикой, или были обнародованы в другом виде". Официальное объявление гласит: Организаторы фестиваля - дирекция телеканала Rai1 после тщательного рассмотрения вопроса, приняла решение об исключении группы Cobalto из финального отбора к Sanremo Giovani, поскольку песня Fuorigioco была опубликована 12 сентября на Youtube платформе, и потому не соответствует требованиям правил, предъявляемым к новым песням"
"Мы не видели, мы не знали, мы абсолютно не помнили об этом видео, и никогда не размещали его на наших каналах. Но кто-то, кто не любит нас, передал информацию в пресс-офис Rai, а также перезагрузил данное видео на Youtube под фейковым аккаунтом Sanremo Fan Club", говорится в заявлении группы. "В прошлые годы было несколько подобных эпизодов, например с Мета-Моро, когда телеканал Rai оправдывал подобные случаи. Но это не произошло для видео с 21 просмотром, с акустической демо-версией песни, о существовании которого мы даже не знали, и которое теперь снова удалено". "Мы пишем это с большим сожалением, поскольку нам нужно винить только себя, и никого больше. Мы виноваты, перед собой, перед нашей песней, перед вами, кто слушал ее, и кто верил в нее. Мы очень старались попасть на фестиваль, где мы заслужили быть, но теперь мы исключены. Для нас это было возможностью всей жизни, которую мы потеряли на пустом месте. Мы лишь можем повторить, что все, что мы делали - мы делали с хорошими намерениями. И это сделает нас только сильнее"
Презентация артистов, принимающих участие в шведском Melodifestivalen пройдет 27 ноября. Напомним, что по информации обозревателя Aftonbladet Торбьорна Эка, в шведском отборе ожидается участие следующих артистов: The lovers of Valdaro (из отбора P4 Nästa), Oscar Enestad, Arvingarna, Wiktoria Johansson, Nano Omar, Jan Malmsjö, Anton Hagman, Vlad Reiser, Bishara Morad, Ann-Louise Hanson, Jon Henrik Fjällgren, Lina Hedlund. Также близки к заключению контракта: John Lundvik, Magnus Carlsson, Margaret. Свыше 1000 #Eurotemazo заявок было получено на участие в испанском отборе в рамках специального Гала Евровидения Operación Triunfo 2018. На призыв откликнулись как известные, так и начинающие авторы. 953 песен было получено посредством открытой формы на вебсайте RTVE, которая позволяла принять участие в отборе всем заинтересованным авторам. С другой стороны, RTVE и Gestmusic (продюсер OT) пригласили напрямую известных авторов подать свои предложения, и они заявили свыше 100 песен. Хотя это и не обязательно, все авторы могли при подаче указать предпочитаемого конкурсанта ОТ, которого они бы хотели видеть исполнителем их песни, из числа 16 участников шоу. Сейчас начинается анализ поданных заявок и составление короткого списка из 20 (10 будут выбраны из числа открытых заявок, и 10 из прямых приглашений к известным авторам). Эти 20 песен будут опубликованы на сайте RTVE, и пользователи смогут проголосовать за своих фаворитов. Три песни, которые наберут больше всего голосов, получат гарантированное место в финальном шоу отбора, еще максимум семь для финала доберет жюри. Eurovision Gala пройдет в январе. Gestmusic может предложить Хавьеру Пахео заняться постановкой номера Испании на Евровидении 2019, пишет Eurovision-Spain. Сценическая постановка считается ахилесовой пятой TVE на Евровидении. Каждый год испанская публика разочаровывается видя свою страну затерявшейся в турнирной таблице прежде всего из-за того, что номер на конкурсную песню был хуже, чем у других участников. Но многое может измениться в этом году. На вопрос одного из фанатов в Твиттере, не стоит ли нанять Хавьера Пахео заниматься Евровидением, генеральный директор компании Gestmusic, отвечающей за проведение Operación Triunfo, Тинет Рубира ответил: "Конечно". Пахео, который был художественным директором промо-вечеринки Eurovision Spain в прошлом году, известен своими предложениями номеров участникам Евровидения от Испании. Выступая в различных программах, он высказывал свои идеи - в частности его варианты номеров для Барей в 2016 и Амайи и Альфреда в 2018 году (которые вы можете оценить ниже) были очень положительно встречены поклонниками конкурса, поскольку они были весьма оригинальными и содержали в себе тот эффект сюрприза, которого не хватало в постановках TVE. В преддверии Евровидения 2019 Тель-Авивский конференц-центр проходит через ребрендинг под названием Expo Tel Aviv, к которому добавлен слоган "Создавая опыт". Ребрендинговый процесс является частью стратегии компании на 2025 год, целью которой является превращение Expo Tel Aviv в международный центр конференций и мероприятий со всего мира, сочетающий увлекательный профессиональный опыт с приоритетным туристическим направлением. Комплекс располагает внутренними выставочными площадями размером в 25 000 квадратных метров, разделенными на 8 павильонов различного объема, а также дополнительные 20 000 квадратных метров открытой выставочной площади, примыкающей к павильонам на газонах. Замена названия будет иметь дополнительный эффект, так как она, вероятно, изменит и название близлежащей железнодорожной станции, а также названия ближайших автобусных остановок. В соглашении, подписанном с Европейским вещательным союзом и израильской телерадиовещательной корпорацией KAN, уже было установлено, что во всех официальных публикациях место проведения конкурса будет называться Международным конференц-центром Expo Tel Aviv. Евровидение будет работать с шестью павильонами: павильон 2, где состоится основное шоу, будет арендован с середины марта на 2,5 месяца, в то время как павильон 1 и остальные павильоны будут в распоряжении Евровидения на период в 1 месяц. Работа во всех павильонах будет проводиться 24 часа в сутки, 7 дней в неделю, включая субботу. Кроме того, в рамках производственных требований во всех павильонах будет поддерживаться постоянная температура в 21 градус. Кроме того, недавно Expo Tel Aviv объявил о планах по реконструкции и модернизации комплекса и его павильонов стоимостью в десятки миллионов шекелей. В рамках реконструкции в 2015 году уже был запущен новый павильон 2 с инвестициями в 350 млн. шекелей, новый бизнес-зал и три новых конференц-зала еще предстоит построить. Кроме того, будут отремонтированы старые павильоны и входные зоны. Компания также объявила, что построит ресторанный комплекс площадью 2500-2800 кв. метров в 2 этажа, который будет обслуживать гостей и жителей района. Тамир Даян, генеральный директор Expo Tel-Aviv, говорит: "Изменение имени - это первый шаг к тому, чтобы стать ведущей организацией в области проведения и организации международных конференций, а индустрия конференций и туризма приносит десятки миллиардов долларов по всему миру. Главной целью в предстоящем десятилетии является увеличение доли Тель-Авива-Яффы и Государства Израиль в них в максимально возможной степени, это бизнес-процесс с огромным потенциалом для повышения престижа и статуса Израиля в мире"
До конца октября, телеканал RTP получило свыше 200 заявок в рамках открытого приема на участие в Festival da Canção 2019. Оглашение выбранного автора, а также победителя радио-программы Masterclass, который станет 16м участвующим композитором, произойдет в ближайшее время. Как говорится в правилах конкурса, отбор песен будет проводиться жюри, созданным специально для этой цели телеканалом RTP, которое будет включать в себя "персоналий с признанными заслугами в области музыки и телевидения. Выбранный автор будет приглашен заявить в конкурс песню на общих условиях с другими приглашенными композиторами"
- Обычные билеты (электронные билеты) - которые будут продаваться на открытом рынке с использованием местных или зарубежных карт или PayPal. Как обычно, билеты будут предложены на девять шоу: три прямых эфира, три шоу жюри (2я генеральная репетиция) и три семейных шоу (3я генеральная репетиция). Для каждого мероприятия будут доступны билеты в разных ценовых категориях, в зависимости от местоположения и уровня приобретаемого места. Билеты будут продаваться как в основную арену, так и в зал с гринрумом. Продажа билетов пройдет в несколько этапов. Первый этап запланирован на начало декабря 2018 года, второй - на февраль 2019, третий - на конец апреля 2019 года. Вебсайт продажи билетов должен соответствовать всем стандартам и правилам Евровидения, быть способен выдержать траффик из примерно 200 тысяч посетителей в один момент времени, с 200 одновременными покупателями (при использовании системы управления очередью в случайном порядке). Должна действовать автоматизированная система контроля и распределения билетов согласно месторасположению покупателя в мире. В случае какой-либо неработоспособности или атаки, которая предотвратила работу вебсайта или серьезно нарушила ее, билетный агент должен будет выплатить компенсацию в размере 50 тысяч шекелей (12 тысяч евро). В соответствии с требованиями ЕВС, по меньшей мере 1/3 билетов, предназначенных для открытой продажи, должны быть проданы для пользователей из-за пределов Израиля. Если эта квота не будет продана за неделю до шоу, то оставшиеся билеты также будут предложены покупателям в Израиле. Кандидаты на позицию официального билетного агента должны быть компаниями, зарегистрированными в Израиле или авторизованными дилерами, с опытом продажи билетов на не менее чем 10 массовых мероприятий с 2000 или более посетителей за последние два года. У них должен быть англоязычный вебсайт, существующий уже по меньшей мере два года. За последние два года продажи агента должны были составить не менее 25 млн шекелей. В рамках программы Ringvaade эстонского телевидения был озвучен список полуфиналистов национального отбора Eesti Laul. Артисты будут представлены прессе на специальном мероприятии в музее ETV в 13:00 19 ноября. Песни будут обнародованы в специальной передаче на ETV 1 декабря. Сандра Нурмсалу (Евровидение 2009), а также Таня (2014) и Биргит (2013) в составе группы The Swingers возвращаются на отбор. Виктор Круне принимал участие в Мелодифестивалене 2015. Сисси - дочь победителя Евровидения Дейва Бентона (2001). София Рубина участвовала в отборах 2004, 2006, 2011, 2014, Яан Пехк с Orelipoiss в 2011, 2012, Грете Пайя принимала участие в Eesti Laul 2013 и 2016, Керли Кивилаан в составе Põhja-Tallinn в 2013 и 2016, Кристель Ааслайд (группа Öed) в 2016 с Cartoon, Уку Сувисте в 2017 (а сейчас участвует в Российском Голосе), Стефан в 2018 в составе Vaje. 216 песен было получено для участия в эстонском отборе Eesti Laul, из них 108 на эстонском и ровно столько же на других языках (английский, русский, немецкий и испанский). Из числа всех заявок, соответствующих правилам конкурса, жюри выбрало 24 песни для участия в полуфиналах. Жюри оценивало заявки вслепую (т.е. не зная имен ни авторов, ни исполнителей песен). В отборочное жюри вошли: композитор Ивар Муст, певица Ленна Куурмаа, телепродюсер Каупо Карелсон, руководитель Universal Music Baltics Леэн Кадакас, музыкальный редактор Sky Plus Вайдо Паннел, ведущий Star FM Аллан Роозилехт, музыкальный редактор радиостанции "Эльмар" Мари-Лийс Мянник, ведущий Power Hit Radio Андрес Пуусепп, певица Лаура Пылдвере, певец Карл-Эрик Таукар, певец Дагмар Оя, певец Рольф Роосалу, музыкальный менеджер Ренеэ Меристе, музыкальный редактор Vikerraadio Стен Теппан. Распределены песни для 9го Гала испанской Operación Triunfo. Впервые все участники получат сольные песни. В интервью RTL Late Night, певец и телеведущий Ян Смит, входящий в отборочный комитет AVROTROS, заявил, что он сам не хочет принимать участие в Евровидении. "Я в основном пою на голландском языке, потому мне кажется, что у нас много более подходящих артистов, которые хорошо поют на английском, и которые лучше бы подошли для этой роли. Нам просто нужно выбрать лучшего, а я не привык петь на английском"
"Я думаю, что у нас в Нидерландах, так много хороших диджеев, которые уже очень известны на международном уровне. Когда бы они ни выпустили новую песню, она немедленно попадает в плейлист радио многих стран, на телеканалы, и потому счет сразу становится 10-0. Мы определенно должны когда-нибудь их попробовать"
Но кто из певцов должен исполнить песню этого известного диджея? "Это не столь важно. В Нидерландах много хороших певцов, но это также вопрос заявления своего интереса. Нам часто предъявляют артистов, которые заявляют в Бульваре или других СМИ, что они хотят поехать [на конкурс], но если люди действительно хотят, то они должны позвонить [нам сами]. Они также должны иметь в виду, что участнику придется очень интенсивно готовиться на протяжении шести месяцев"
По всей видимости, голландский вещатель пока не продвинулся далеко в поиске своего кандидата на Евровидение 2019. "Я слышу много разговоров, потому что сам вхожу в комитет, но пока нет ничего конкретного. Мы пока не сделали никаких конкретных шагов. Есть так много артистов, которые могли бы это сделать. Я вообще бы рекомендовал участие в конкурсе каждому голландскому артисту"
За последние дни такие артисты, как Kensington и Davina Michelle, чьи имена часто фигурировали в различных опросах, открестились от возможности своего участия в Евровидении. Российская певица Дарьяна продолжает делать заявления о своей подготовке к национальному отбору Сан-Марино на конкурс Евровидение 2019. Напомним, что еще в мае продюсерский центр "ЧЕ Продакшн" заявил о достижении договоренности с ERAS (Ente per la radiodiffusione sammarinese — "Фонд Сан-Маринского радиовещания") об участии певицы Дарьяны в отборочном туре музыкального конкурса Евровидение 2019 от Сан-Марино. Генеральный директор продюсерского центра ЧЕ Продакшн Олег Челышев заявил: "Отбор участников на этот конкурс от России происходит согласно собственной стратегии Первого канала. Мы в эту стратегию не вписываемся, поэтому приняли решение выйти на «Евровидение» таким путём, тем более, что Положение конкурса не обязывает участника иметь гражданство той страны, которую он представляет. Переговоры с Сан Марино мы вели уже давно, и в этом году наши партнёры подтвердили свое согласие, выбрав кандидатуру певицы Дарьяны"
"Прежде чем попасть на музыкальную сцену, я очень много выступала на музыкальных конкурсах. Джакомо Челентано был в жюри в одном из конкурсов, на котором я участвовала. Ему понравилось мое исполнение, я передала ему свои записи и думала, что мы больше никогда не встретимся. Для меня было полной неожиданностью получить от него письмо с предложением выступить на Евровидении от государства Сан Марино", - рассказала сама певица. - "Я на 100% готова к участию в конкурсе. Уверена, что в 2019 году Сан-Марино точно выйдет в финал Евровидения, а может и станет следующей страной, в которой пройдет этот конкурс. Не исключено, что конкурсная песня будет звучать на 3 языках - итальянском, английском и русском"
Теперь же, продюсер артистки сообщил, что в приоритете для Дарьяны - все-таки участие с этой песней от России, и если российские организаторы национального отбора оценят её, то Дарьяна готова достойно представить эту песню на Евровидении от своей страны, и тогда в Сан-Марино на конкурсный отбор поедет другая артистка CHE Production. В разработке сценарий и подготовка к съёмкам сюжетного видеоклипа на песню "Hi, Wi-Fi", а вчера была представлена готовая версия самой композиции. Напомним, что телевидение Сан-Марино не делало каких-либо заявлений о планах проведения национального отбора на Евровидение 2019, известно лишь, что прошлогодний формат отбора 1in360 не будет возвращен. Телеканал SBS Австралия продолжит подготовку к конкурсу Евровидение, несмотря на протесты и призывы к бойкоту. Движение BDS Австралия (Бойкот, Изоляция и Санкции) провело акцию протеста против участия Австралии в конкурсе песни Евровидение 2019. 15 ноября около десяти протестующих во главе с Хилми Даббах собрались перед входом в офис австралийской телекомпании SBS в Артармоне, чтобы призвать национальную вещательную компанию не транслировать конкурс Евровидение 2019, который пройдет в Израиле. "У нас есть фундаментальная проблема с Евровидением, которое будет проводиться в разгар катастрофы, происходящей в Газе", потому BDS Австралия призвало SBS "отстаивать свою гордое историю как рассказчика правды и первопроходца". "Мы хотим, чтобы австралийцы узнали, что это неправильно, и что SBS обладает высокой этической ценностью и является символом порядочности австралийцев, потому мы ожидаем, что SBS не будет транслировать конкурс, если он пройдет в Израиле", заявил представитель BDS. Протестующие раздавали листовки сотрудникам SBS, которые гласили: "Мы любим SBS, и мы любим Евровидение, но разве конкурс песни стоит больше, чем права человека? Разве рекламные доллары стоят больше, чем международное право? Мы не можем праздновать Евровидение в Израиле, в то время как израильское правительство проводит апартеид и продолжает нарушения прав человека в отношении палестинцев. Подобно кампании, которая положила конец апартеиду в Южной Африке, ваша международная солидарность имеет жизненно важное значение. "В каждой стране-участнице Евровидения участники кампании солидарны с борьбой палестинцев за их права человека и отстаивание международного права. В Австралии это означает, что мы будем просить директоров SBS принять положительное решение в области прав человека, отказавшись от отбора представителя Австралии и трансляции конкурса Евровидение 2019 из Израиля, если оно там пройдет. "Это недостаточно, просто сказать, что "весь смысл Евровидения - это забыть политику", как ответил [бывший генеральный директор SBS] Майкл Эбейд на запрос сената в мае этого года. Руководители SBS забывают о правах человека? Готово ли SBS забыть о международном праве?" После этой акции представитель SBS заявил, что вещательная компания продолжит принимать участие в мероприятии, посвященном разнообразию и инклюзивности. "SBS уважает и поддерживает право людей выражать свои взгляды, и мы признаем обеспокоенность, высказанную теми, кто выступает против конкурса, проводимого в Израиле", - говорится в заявлении. "SBS с гордостью транслирует Евровидение уже 35 лет, и мы будем продолжать делать это в 2019 году из-за духа мероприятия по объединению людей и культур в праздновании разнообразия и интеграции с помощью музыки". Карлос Райт с 47% голосов покидает Академию, Марилию спасают зрители. Сабела впервые становится фаворитом публики, в тройку лучших также вошли Хулия и Альба. Это рекорд - в 8 шоу были 8 различных фаворитов, за прошлые сезоны их было не более 4х. Жюри спасли Хулию, Альбу, Мики и Наталью. Педагоги спасли Фэймоса, конкурсанты спасли Марию с 4 голосами - Марта и Марилия, набравшие по 1 голосу номинированы на выбывание в следующем шоу. Итальянский журнал CHI пишет о восьми исполнителях, которые могут выступить на фестивале Сан-Ремо 2019. По информации журнала практически гарантировано участие Nek, Paola Turci, Arisa, Giusy Ferreri, Ultimo. В составе участников будет только один выпускник шоу Amici di Maria De Filippi: Irama или Riki (Riccardo Marcuzzo). Ведутся переговоры с Loredana Bertè. В октябре различными итальянскими СМИ для участия в фестивале обсуждались имена: группа Modà, Alessandra Amoroso, Elodie, Michele Bravi, Irene Grandi, Ivana Spagna, Massimo Ranieri (возможно с песней авторства покойного Шарля Азнавура), Gianluca Grignani, Francesco Renga, Enrico Nigiotti, Luca Carboni, Coez, Emma Marrone, Enrico Papi, Shade – Federica Carta, Gigi D'Alessio (возможно вместе с Nino D'Angelo или Anna Tatangelo), трио Nicolò Fabi - Daniele Silvestri - Max Gazzè (но они могут в итоге выступить как гости). Также, художественный директор фестиваля думал о привлечении жанра "трап", потому могут быть приглашены Ghali, Sfera Ebbasta или Capo Plaza. Всего в фестивале примут участие 24 исполнителя, из них 2 будут выбраны в рамках фестиваля Sanremo Giovani, а имена других финалистов будут объявлены во время его эфиров 20-21 декабря. Глава отдела развлекательных программ испанского телеканала RTVE Тони Прието хотел продлить срок приема заявок для участия в Евровидении 2019, который завершается завтра - но его план не был принят, пишет издание Bluper. Прието хотел бы больше времени, чтобы провести переговоры с известными авторами. По информации издания, он опасается, что в финал отбора будут отобраны песни неизвестных авторов, а не узнаваемых композиторов, которые могли бы привлечь больший интерес к процессу. Издание также обвиняет организаторов шоу в фаворитизме - так, за последние две недели в качестве 4го члена жюри выступили композиторы Карлос Жан и Бриса Феной. Феной, уже принимавшая участие в прошлогоднем отборе, заявила, что работает над несколькими песнями для конкурса. Карлос Жан ранее объявил о проекте #LaCancionPerfecta, где всем желающим было предложено доработать музыкальную основу, созданную Жаном, дописав ее мелодию. Было получено несколько десятков предложений, которые можно услышать на Youtube. Из всех полученных вариантов, Жан создаст готовую песню, в которой будут использованы все лучшие из предложенных идей. Обновление: О подаче песен для Евровидения заявила также и судья 8го гала Рут Лоренцо. По итогам голосования посетителей сайта Eurovision-Spain, фаворитом сегодняшнего Гала является Фэймос, набравший 39% голосов. У Сабелы 15.3%, у Марии и Марилии 10.2. Марилия также должна быть спасена, в борьбе против Карлоса она набирает 67.8% голосов. Юрист Янис Дросос был назначен генеральным директором греческого телеканала ERT. В совет канала также вошел композитор Димитрис Пападимитриу, который был автором интро-музыки конкурса Евровидение 2006 в Греции, а также музыки для открытия Олимпийских Игр в Афинах. Назначение нового совета директоров телеканала ERT позволит начать подготовку к конкурсу Евровидение. По сообщениям телеканала Star, никакой подготовки к конкурсу в Греции пока не проводилось, не были назначены никакие ответственные лица. Ряд успешных исполнителей пытался связаться с вещателем, чтобы провести переговоры об участии в конкурсе - но не смогли получить никакого ответа. Первая часть сборника лучших песен OT 2018, выпущенная Universal Music Spain, возглавила альбомный чарт Испании и всего за неделю заработала статус "золотого альбома". Среди синглов наивысшие места занимали дуэт Мики и Карлоса "El ataque de las chicas cocodrilo" (58 место), групповой трек "This Is Me" (59 место) и "La Llorona" Альбы (61). В топ 100 попали еще 5 треков: "Feel It Still" (Famous, Natalia) (71), "Lo siento" (Natalia, Damion) (74), "Toxic" (Natalia, Alba Reche) (80), "Ella" (María, Marta) (83), "Respect" (Alba Reche, Noelia) (92). На прошлой неделе конкурсанты шоу приняли участие в автограф сессиях в Барселоне, Мадриде и Сарагосе, которые прошли с рекордными показателями. Так, в Барселоне (Carlos Right, Marilia, Marta и Miki) подписать диск пришло около 5000 человек, по сравнению с 2000 в прошлом году. В Мадриде (Alba Reche, Famous, María и Noelia) - 4000 против 3000, а в Сарагосе (Julia, Natalia и Sabela) - 3500 против 2000. Уже выбывшие конкурсанты шоу дали автографы в Малаге, Мурсии, и вскоре отправятся в Аликанте, Кадис, Севилью и Валенсию. Вторая часть альбома "Лучшее" выйдет в продажу в конце декабря или начале января, во время рождественских каникул. К тому времени, победитель шоу уже должен быть определен. Первая официальная афтерпати Евровидения, которая должна была состояться на Жальгирис-арене в Каунасе в декабре, была отменена. Летом, представительница Литвы 2018 Ева Засимаускайте сообщила о своих планах организации первого в истории концерта Евровидения в Литве - "Eurovison Afterparty". Среди подтвержденных участников были Сезар Сампсон (Австрия), Лаура Риззотто (Латвия), Райан О'Шонесси (Ирландия), Элина Нечаева (Эстония). "Я не смогла собрать программу мероприятия так, как я надеялась и мечтала. А мне хотелось бы поделиться с вами 100% качественным продуктом, который бы действительно воссоздал атмосферу Лиссабона. Мне бы хотелось видеть на концерте больше участников, но затраты были слишком велики. Потому, я решила не рисковать, поскольку и продажи билетов тоже шли не очень хорошо. Не хочу делать что-то не полноценно, ведь я максималистка", говорит Ева в интервью 15min. Стоимость приобретенных билетов будет компенсирована. "Жаль, что этот концерт не состоится, мне очень грустно, что мы не сможем почувствовать здесь в Литве чувство Евровидения. Ну, не все в жизни возможно... Иногда не понимаешь, почему - но позднее, через какое-то время, ты осознаешь, что Вселенная или Бог сделали все, как должно было быть и дали тебе необходимый урок. Видимо, я еще слишком молода, чтобы организовывать такие мероприятия, потому что у меня еще недостаточно опыта. Но я очень благодарна всем, кто внес свой вклад в реализацию мой мечты, которая, к сожалению, так и останется мечтой"
Согласно новой публикации газеты Jutarnji list - Dora, хорватский отбор на Евровидение 2019, пройдет 16 февраля. А вот место проведения шоу пока не определено - будет ли это Опатия или Загреб. Если шоу будет отдано Опатии, то оно пройдет в новом зале, а не традиционном отеле Kvarner, но организаторы надеются, что шоу в Опатии все равно сможет воссоздать волшебную атмосферу конкурса. На этой неделе должен быть опубликован официальный призыв об участии, и все заинтересованные авторы смогут подавать песни под специальными кодами, которые будут заслушаны жюри из 5-7 членов - представителей HRT, Хорватского музыкального союза, Хорватского общества композиторов, музыкальных редакторов и тп. Издание полагает, что голосование в Dora будет аналогичным голосованию на самом Евровидении - сначала будут оглашены голоса жюри, а затем зрители смогут отдать баллы своим фаворитам по телефону, СМС или мобильному приложению. Среди возможных участников, издание называет Лидию Бачич, а также Ивано Любичича, который исполнит песню Ненада Нинчевича (автора текста песни Хорватии 2000). Другие композиторы, например Бранимир Михальевич, Мирослав Бульян говорят, что примут решение об участии, только ознакомившись с правилами проекта. Газета также полагает, что в конкурсе выступят ряд участников шоу "Голос" или "А Страна", среди них Ален Джурас, Вьекослав Ключарич, Эни Юришич, Ива Гортан и др. Еще несколько известных имен примут участие в новом сезоне шоу "The Next Star for Eurovision". Газета Israel Hayom добавляет к списку уже известных кандидатов предстоящего сезона шоу еще несколько имен желающих последовать успеху Нетты Барзилай. Среди них Клара Сабаг, участница 9го сезона шоу "Kochav Nolad", Аяла Элигоола, участница 3го сезона этого шоу и "Новой Волны 2012", Тамар Амар, второй призер 3го сезона шоу "Голос". Ранее мы уже сообщали об участии в проекте ветерана израильских отборов Kdam Майи Бускилы, Ротем Шефи в образе арабской дивы Шефиты, Роея Сандлера, Даниеля Тавори (брата Бен-Эля), Кетрии из шоу "The Four", Эти Биттон, еще одной участницы "Kochav Nolad", и победительницы 3го сезона "Голоса" Эльканы Марциано. Тем временем известный певец Идан Янив, который также вел переговоры об участии в проекте, решил отказаться от этой идеи. Из-за недостатка гостиничных мест, ожидаемого в дни конкурса Евровидение, муниципалитет Тель-Авива и Министерство Туризма изучают возможность установки палаточного лагеря и трейлерного парка в Парке Яркон, где гости конкурса могли бы проживать по низким ценам. Идея кемпинга Евровидения была впервые применена в Киеве в 2005 году, однако из 5000 планируемых гостей, всего лишь около 250 туристов, в основном из других регионов Украины, предпочли такой вид проживания. В воскресенье Министерство Туризма провело заседание, в котором приняли участие его генеральный директор Амир Халеви и генеральный директор Tel Aviv Global Эйтан Шварц, которые рассмотрели предлагаемый план и различные возможности. По пока не утвержденному проекту предлагается установить палатки для одного и двух человек, семейные палатки, VIP палатки и трейлеры. Помимо того, кемпинг-зона будет включать в себя всю необходимую инфраструктуру, включая души и туалеты, прачечную, камеры хранения багажа, а также информационную стойку, где гости также смогут заказать себе туры и экскурсии. Муниципалитет Тель-Авива уже обратился к соседним городам Герцлии и Нетании с просьбой помочь с гостиничными номерами, а также попросил региональные советы, расположенные недалеко от Тель-Авива, чтобы они рассмотрели возможности проживания гостей Евровидения в различных коммунах, включая кибуцы и мошавы, пишет Ynet. В то же время, как узнал ESCKAZ, Европейский Вещательный Союз, ссылаясь на сложную ситуацию с отелями и проживанием в Тель-Авиве (где май и так является популярным сезоном и отели в большей степени обычно заполнены) потребовал от участвующих делегаций завершить бронирование необходимых им комнат до середины декабря. Это слишком рано для большей части делегаций, которые могут определиться с их численным составом только после выбора своего представителя, ведь большая часть членов делегаций обычно - это менеджмент и команда исполнителя. 336 #Eurotemazo было получено испанским вещателем RTVE для Eurovision Gala OT 2018. Большая часть песен - это поп и баллады, реже встречаются латинские ритмы, трап и хэви-металл. Некоторые песни написаны на других языках Испании, а одна даже включает в себя фразы на всех национальных языках этой страны. Некоторые из песен были написаны авторами, известными в мире Евровидения, также получено много заявок от новичков. Участник ОТ 2017 Сепеда заявил о том, что также отправит заявку и предпочел, чтобы его песню исполнил Фэймос. Сезар Сампсон не исключил возможности того, что Symphonix International также подготовят песню для Фэймоса. Прием заявок завершится 15го ноября. Десять лучших песен, полученных посредством открытого приема, будут записаны конкурсантами ОТ 2018. Отправится ли певица Тамта на Евровидение - или в родную Грузию? Телеканал Star в своей программе Sti folia ton Kou Kou сообщает, что у певицы есть другие обязательства, которые могут ей помешать поехать на конкурс. Журналист телеканала Янис Пулопулос, ссылаясь на свои источники в команде певицы Тамты заявил, что она очень заинтересована отправиться на Евровидение, и хотела бы поработать с Алексом Папаконстантину над заявкой от Кипра, но у нее уже есть другие обязательства, в частности, она приняла предложение от шоу X Factor в Грузии (где она ранее уже была в составе жюри). Напомним, что Грузию на Евровидении 2019 представит победитель другого телешоу - Звезда Грузии (Грузинский Идол). По информации издания Showtime, Кипр близок к окончательной договоренности с Алексом Папаконстантину, который уже подготовил конкурсную песню, но при этом ведутся и переговоры с другими зарубежными авторами, которые хотели бы, чтобы их композиция прозвучала на Евровидении от этой страны. ИНФЕ Греции сообщает, что CyBC ведет переговоры c несколькими лейблами, и их цель прежде всего найти подходящую песню. Это поддерживает ОГАЕ Греции, которое заявляет, что в распоряжении вещателя уже есть четыре песни от известнейших европейских и американских авторов, и цель - действительно прежде всего выбрать правильную песню. Если его композиция будет утверждена, то право первого отказа, Папаконстантину, якобы предложил именно Тамте. Вебсайт EurovisionFun однако сообщает, что в случае если достичь договоренности с Тамтой не удастся, то киприотский вещатель рассматривает кандидатуру певца Вангелиса Какуриотиса. При этом источники ИНФЕ Греции опровергают, что CyBC вел какие-либо переговоры с Какуриотисом. При этом в Греции проектом Евровидения еще заниматься не начали, поскольку в конце декабря ожидается назначение нового генерального директора и совета телеканала. В продажу поступили билеты на австралийское отборочное шоу Eurovision Australia Decides, которое пройдет в Выставочно-Конференционном Зале Голд-Коста. Шоу проведут Джоель Кризи и Миф Уорхерст. Их можно приобрести по ссылке. В продаже доступны как отдельные билеты на три шоу: Вечернее шоу с голосованием жюри 8го февраля, утреннее превью шоу и Вечерний финал 9го февраля (от 70 AUD), а также пакет билетов на все три шоу (от 110 AUD). Финал национального отбора начнется в 19.30 и закончится в 22.00 местного времени (12:30-15:00 Москвы). На Мальте прошел первый эфир X Factor Malta, посвященный этапу Bootcamp (тренировочный лагерь). Сначала участникам было предложено спеть акапелла, и 30 из 120 кандидатов не были одобрены судьями для продолжения участия. Девушки исполнили "A Million Reasons" (Lady Gaga), Парни - "See You Again" (Wiz Khalifa feat. Charlie Puth), Старше 25 лет - "Don’t Let the Sun Go Down On Me" (Elton John), Группы - "My Girl" (Temptation). На этом этапе вещателем были выделены Luke Chappell, Owen Leullen, Aleandro Pace Tahir, Norbert Bondin, Aidan Cassar, Mark Anthony Bartolo, Karin Duff, Kelly Moncado, Michela Pace, Nicole Frendo, Petra, Anna Faniello, Vanessa Sultana, Laura Bruno, Ben Purplle. Вторым испытанием стала Стена песен - после нее в борьбе останется 48 исполнителей - по 12 в каждой из категорий. Сегодня были показаны 8 групповых песен этой стадии. В следующий этап уже прошли: James Mifsud, Kelsey Bellante, Kelly Moncado, Miriana Conte, Kaylie Magri, Danica Muscat, Miguel Bonello, Aleandro Pace Tahir, Matthew Anthony, Kayati, Rachel Tedesco Triccas, а вот представительница Мальты на Детском Евровидении 2010 Nicole Azzopardi, а также Lindsay Pace и Josef Tabone отправились в Holding Room. .
Продолжение эфира из Bootcamp - на следующей неделе. Из-за напряженного графика Шири Маймон не приняла участие в кастингах на позицию ведущей конкурса Евровидение 2019, пишет Israel Hayom. Издание делает вывод, что из-за этого она могла выпасть из числа кандидатов. От участия отказалась и со-ведущая "The Next Star" Ротем Села. Как мы ранее сообщали, закрытые прослушивания кандидатов на позиции ведущих конкурса прошли в пятницу в Кфар-Шмарьягу. В них приняли участие такие известные личности, как актер и телеведущий Эрез Тал, который считается фаворитом отбора, модель Бар Рефаэли, актрисы и певицы Аня Букштейн и Ноа Тишби, телеведущие Асси Азар, Геула Эвен, Люси Аюб, Роми Неумарк, Леон Розенберг, Лирон Вейзман, Дана Гротски, менталист Лиор Сушар, актеры и ведущие Гай Зо-Арец, Ярон Бровински, Аки Авни, комик Ники Голдштейн. Ожидается, что будут выбраны четверо ведущих, из них двое будут вести репортажи из гринрума конкурса. При этом, Моше Кептен - художественный директор театра Хабима, которого СМИ изначально называли кандидатом на роль ведущего - оказался назначенным режиссером Евровидения, где будет помогать главному режиссеру Ювалю Коэну. Кептен победил на тендере, организованном телеканалом KAN. Именно Коэн и Кептен и проводили прослушивания ведущих, видеозаписи с них были отправлены в ЕВС. Кептен, помимо прочего, был режиссером популярных мюзиклов, таких как Fiddler on the Roof и Les Miserables, а на телевидении был режиссером трех сезонов шоу X Factor, 4-5 сезонов шоу Голос, программ о Евровидении и церемоний премий Офир. Стали известны имена 25 победителей академии Area Sanremo, которые сохраняют шанс на участие в фестивале Sanremo Giovani. Финальный вечер проекта прошел в Teatro dell'Opera Муниципального Казино Сан-Ремо, в нем приняли участие 76 артистов. Первоначально планировалось, что будет объявлено 24 победителя, но жюри проекта решило включить в короткий список на одного исполнителя больше. На дополнительных прослушиваниях 24го ноября художественная редколлегия телеканала RAI определит, какие из этих 25 исполнителей примут участие в фестивале Sanremo Giovani. Планируется, что в итоге будет отобрано от шести до десяти исполнителей. Опубликованы песни артистов, принимающих участие в прослушиваниях на участие в фестивале Sanremo Giovani. Финальное прослушивание 69 кандидатов пройдет 12го ноября в Риме. Для участия в фестивале будут выбраны 18 артистов. Еще 6 будут выбраны на прослушиваниях 225 артистов академии Area Sanremo. До финальных прослушиваний там дошли 76 участников, а сегодня определятся 24 лучших кандидата. Из них лучших уже определит комиссия RAI на прослушиваниях 24 ноября. Фестиваль Sanremo Giovani пройдет 20 и 21 декабря, и два его победителя в итоге присоединятся к числу участников основного фестиваля Сан-Ремо в феврале.